With the intent of promoting solar energy use in the country, JLanka Technologies has partnered the iconic fifth instalment of the workshop on photovoltaic. The seminar will address the need, science and applications of photovoltaic technology. The event is jointly organised by the Departments of Chemistry and Physics, and the Research Service Centre of the Faculty of Science at the University of Kelaniya, the National Science Foundation of Sri Lanka and Sivanathan Laboratories, Inc. The event scheduled to be hosted at the University of Kelaniya on 18 and 19 January will see segments and presentations by pioneering thought leaders in the field. The highlight of the workshop will naturally be its expert panel of presenters, which includes thought leaders of the field such as Prof. Siva Sivanathan, Dr. Tim Coutts, Dr. Tim Gesseert, Dr. Ramesh Dhere, Dr. Mowafak Al-Jassim and Jhon Miller. The panel, consisting of leading figures in the area of study is scheduled to present their sessions on a truly varied number of areas, addressing the broader theme in a comprehensive, inclusive manner. Sivanathan Laboratories Inc. 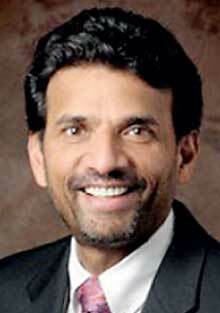 Founder and Chairman Prof. Siva Sivanathan among his peers, has had great recent success. His work in the field of night vision technology has contributed to the success and safety of US troops in their operations. A Sri Lankan born in Jaffna, and a former student of Hindu College, Sivanathan now lives in the US and is attached the University of Illinois, Chicago. He is credited with the invention of the popularly used night vision technology and has been recognised by the White House for his contributions to the field. “We are committed to uplifting and adding value to the solar industry in the country. This has been our vision for partnering this event and many such events in the past. It’s a privilege for us to be able to facilitate such an iconic event and we are happy to be a co- sponsor and a humble partner of such a valuable initiative,” commented by JLanka Technologies Marketing Manager Srinath Dolage. Two PV system technologies will be installed and reviewed at the workshop by JLanka in order to give the gathering an in-depth understanding of the system and technology deployed by the company. The segment is expected to grab the attention of attendees given its interactive nature. The workshop featuring these segments and many others is scheduled to be held at the University of Kelaniya on 18 and 19 January.